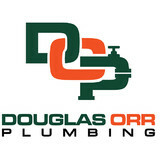 Proudly providing South Florida with Quality Plumbing services since 1979. Our certified staff is knowledgeable and ready to repair any problem. If you are in need of a small fix or an entire remodeling of your bathroom or kitchen, we are the plumbers to call. John The Plumber is a third generation plumbing company, with the fourth generation close at hand. 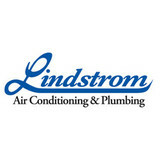 All three brothers are state certified master plumbers and have a combined total of over 80 years of experience. 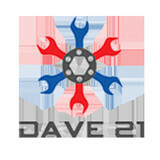 In addition, we have 2 service technicians with over 10 years experience each, which combines for a total of over 100 years of experience. We have been family owned and operated since the day our dad started the company in 1979 and have not only survived, but expanded solely on word of mouth. We have been able to do this because as owners we have a vested interest in making sure our customers are completely satisfied with the work we perform. A plumbing contractor handles the installation and repair of water, sewage and natural gas pipes throughout a home, as well as interior and exterior faucets and fixtures. Plumbing contractors are also trained to work with water mains, septic tanks, laundry appliances, water heaters, sump pumps and other plumbing and pipe systems. Because plumbing repair work is done largely behind walls and beneath floors, some plumbing companies can also patch or replace tile, stonework and other surfaces. Although some Fort Lauderdale plumbers are generalists, others specialize in specific areas; a 24 hour emergency plumber will handle urgent residential repairs, while others may be more skilled in remodeling, natural gas lines, overhead sprinkler systems and more. 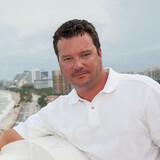 Find a local Fort Lauderdale plumber on Houzz. 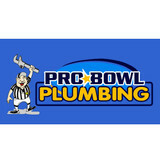 Narrow your search in the Professionals section of the website to plumbing contractors in Fort Lauderdale, FL. You may also look through photos of Fort Lauderdale, FL projects to find a licensed plumber who has worked on a project similar to yours. Here are some related professionals and vendors to complement the work of plumbers: General Contractors, Septic Tanks & Systems, Kitchen & Bath Designers, Kitchen & Bath Remodelers.